2018 route information will be announced on January 31st, 2018. 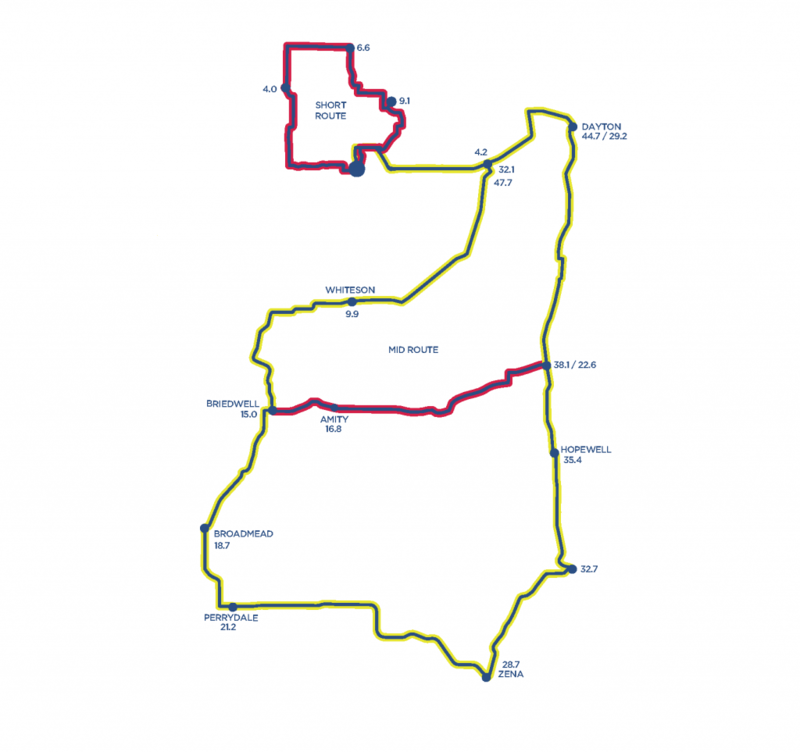 View 2017 route information below. Click here for the Ride Guide. Two days that will make your whole summer. Bring your friends. Bring your neighbors. Bring your family. Bring your bikes. 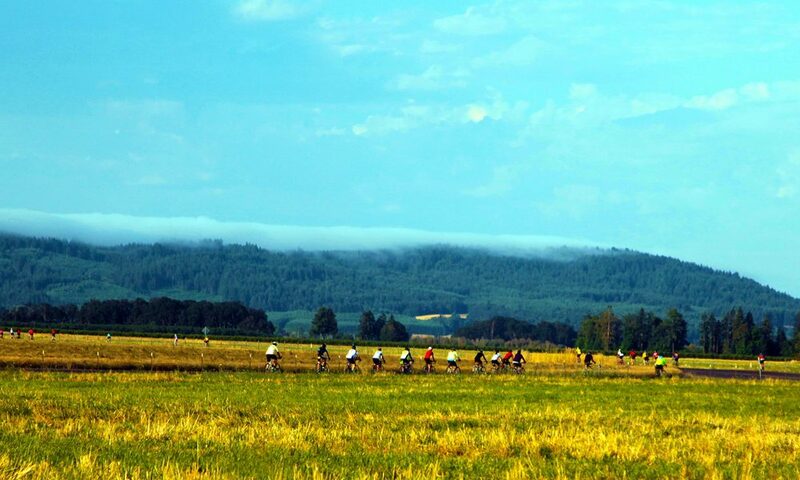 Everyone is welcome for Cycle Oregon’s two-day bike bash! Linfield College campus is home base for a weekend of great rides, live tunes, and activities galore. Choose from a short, medium or long route through wine country, then camp under the stars or crash in the dorms. It’s two-wheeled fun for everyone! 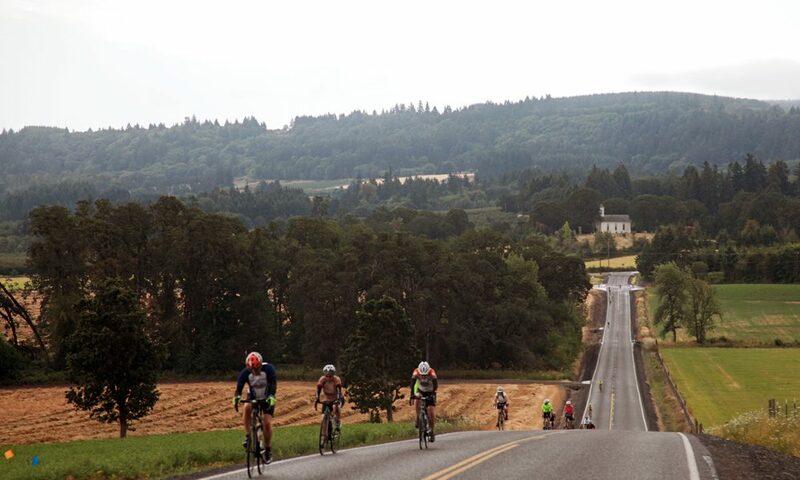 Kicking off your weekend of free-wheeling bike fun, choose from three routes that all start from the Linfield College campus in McMinnville and follow the general contours of the South Yamhill River. The first 7 miles are shared by all, and then short route riders take a shortcut home. 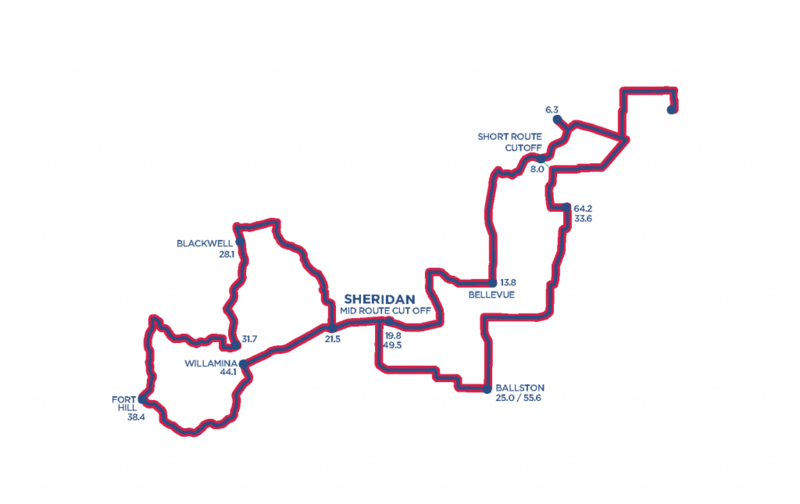 The medium and long routes head to Sheridan, where the long route riders tack on an additional loop that features a good dose of climbing. From Sheridan, both routes loop back across the river as they head for home. When you get back to campus, prepare to switch from cycle-mode to party-mode, as the fun and festivities will be well underway. If you thought yesterday was a blast, check out what we have lined up for Day 2! Today’s routes showcase several vineyards as well as the Evergreen Aviation complex, which includes a museum housing the Spruce Goose plus a water park. Everyone starts the day off heading east – the short option cuts back to the north to rejoin the other routes returning to campus. Interestingly, the medium route has the only “climb” of the day (and a corresponding descent), on its shortcut through Amity. 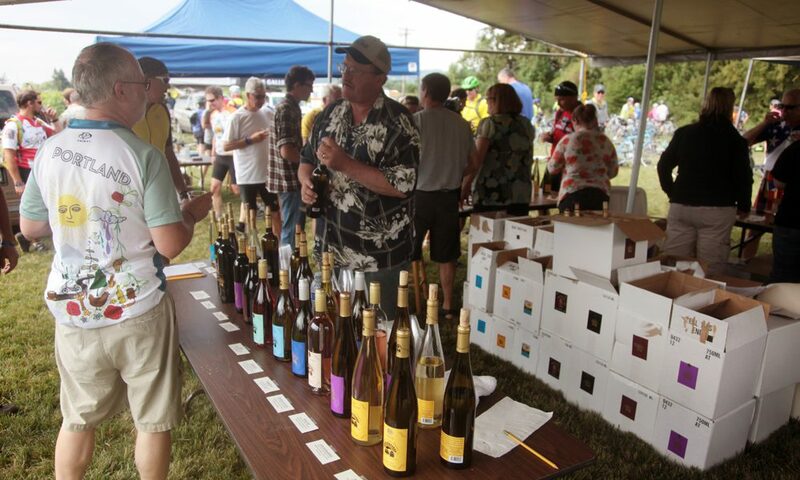 The long route rolls past several wineries and historic communities. On your return, keep your ears peeled for the live music. When you hear it, you’ll know you’re getting close to the rockin’ party celebrating good times and a great WEEKENDER! For the Cycle Oregon Weekend, you’ll have several options for accommodations. You can camp in a tent on campus, stay in a dorm room or apartment, sleep in your RV or arrange for other lodging. The overnight site will have an area designated for camping – “Tent City,” as it’s affectionately known. Don’t forget to bring your tent, ground cloth, sleeping bag and pad. We can no longer offer tent service on the Weekend Ride. Sorry for any inconvenience. All rooms have single (twin) beds. You can choose from traditional one-room dorms with 1-3 beds and shared bathrooms down the hall, or suites with 2 or 4 beds and a private bathroom. Get a dorm or suite here. Only one person needs to sign up for the room. Prices include both Friday and Saturday nights. Bring a pillow, pillowcase, bottom sheet, sleeping bag or other linens, toiletries and towel. Check-in for dorm rooms begins at 3 p.m. on Friday. Check-out is 1 p.m. on Sunday. Residence halls are not air-conditioned, so if the forecast is for warmer weather bring a fan for your room. If you’d like to bring your RV, camp trailer, you must register your vehicle as we have a limited number of spots. The cost for bringing an RV is $40. There will be no hookups available. RV is defined as anything that cannot fit into a standard parking space. If you are considering renting an RV, please contact Tracey Kays at Johnson RV by emailing [email protected]. You may also sleep in your non-RV vehicle if you prefer. Directions to the campus will be emailed to you in the Ride Guide in June. They will also be listed on the parking pass. Overnight parking for Friday and Saturday nights is available for $10 (click here to get a pass).We will provide directions to the event in the Ride Guide (emailed in June) and on the parking pass (mailed in June). Please follow these directions as we route participants specifically through campus to ensure efficiency. There will be signage pointing you to camping, RV parking and dorms. After parking, follow the signs to the rider packet pick-up area. You may want to check in and get acquainted before unpacking all your gear. The RV Parking site will be based on campus. It’s not an RV park, and no hook-ups are provided. Riders or guests with vehicles that have generators will be located separately from those without. In addition, the RV Parking area will observe quiet hours (no generators) from 10 p.m. to 6 a.m. each day. A registration fee of $40 is required for each vehicle. Click here for a pass. Guests can purchase meal tickets for breakfast ($10) and dinner ($15) at the Cycle Oregon Retail trailer. Guests are not registered riders; they should not be riding the route. The idea is to have a relaxing, enjoyable weekend of riding. The key to that? Take care of as many details as possible before the ride. 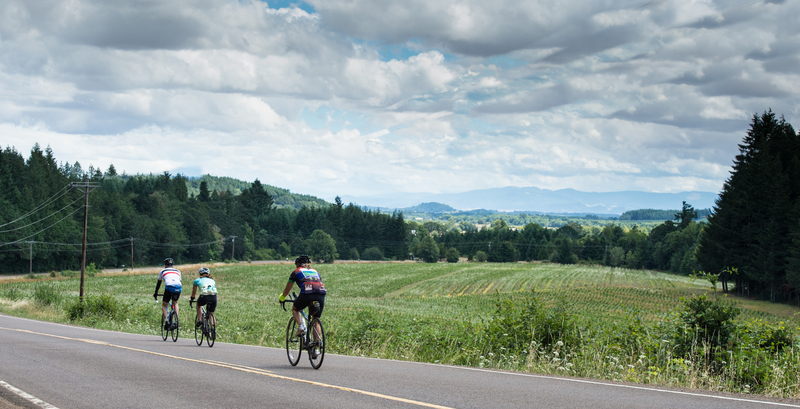 In this section you’ll find pretty much everything you need to know to make your Cycle Oregon experience a great one. Hot showers and any other amenities you might need will be provided at the overnight site. If you are camping, showers will be available on this event (generally in the campus fieldhouse). If you are staying in a dorm, showers will be either private or down the hall depending on which room you reserve. Please remember to bring a towel and soap, as we do not provide towels or toiletries. Saturday: 6–10 a.m., noon–11 p.m. The massage team will be along on the ride with half-hour and full-hour massages available. You can make appointments directly with your favorite therapist by contacting him or her directly or you can sign up at the massage area when you arrive. Massage prices are $50 for a half hour and $90 for a full hour. We accept VISA, MasterCard, check or cash. Check back here later in the spring for information on who will be along for the event. For more information about the Cycle Oregon Massage team or to make an appointment, click here. Yoga instructor Jennifer Hanson will be along on the ride (she actually rides in addition to teaching) to teach two yoga classes Saturday and two on Sunday. Yoga is an excellent way to tame sore muscles, relax and stay flexible after a long day’s bicycle ride. Typically, we have two instructors – one leading the class from the front and another to roam the aisles and gently correct postures. Classes are free to all Cycle Oregon riders and mats are provided. Megan Moseley, PT, LMT, of Bodywise will teach a stretching and injury prevention class from 4-5 p.m. on Friday. This class is geared toward balancing areas of the body that are stressed and stretching muscles that are overworked when cycling long distances. On Saturday, Megan is available between 4 and 6 p.m. for free injury consultations including evaluation of your current complaint, education about the origin of your symptoms, instruction in stretches, exercises and self-care techniques, hands-on treatment, taping, bracing, insole adjustments and coordination with massage therapists, acupuncturists and bike-fitting experts. Sign up for these 15-minute slots at the medical tent. Betsy Platt, L.Ac, MAcOM, of AcuOm will be available Friday, Saturday and Sunday to provide specialized acupuncture and Eastern medicine to alleviate muscle, bone and joint pains; increase stamina and boost energy; relieve arthritis; stop headaches; address respiratory problems; ease gastrointestinal disorders; and more. The Bike Gallery’s team of bicycle technicians provides mechanical support on the course and at the overnight site. Technical support is available for emergency repairs of well-maintained equipment. It is your responsibility to make sure your bicycle is in good condition. Labor is usually free, compliments of Cycle Oregon and The Bike Gallery, while cyclists pay for all parts. Labor charges may apply if your bicycle does not meet pre-ride requirements. For those who forget their helmets or want to buy a pair of bike shorts, The Bike Gallery will have a few cycling-related items for sale at the overnight site. Bike rentals from Bike Gallery! Are you flying in for Cycle Oregon and prefer not to transport your bike? Or do you just want to experience one of Trek’s best road bikes? Bike Gallery is now offering a bicycle rental program. Bicycle pick-up and return is on-site at the Cycle Oregon overnight location. Sizes are limited so call early for reservations. For more information, call 503 281 9800. Look for the Rider Services trailer in a visible location near the entrance into camp. Here you can ask questions, meet friends, leave a note on the message board, or locate missing items at lost and found. The Cycle Oregon Gift Shop trailer is where you can buy extra meal tickets or shop for additional Cycle Oregon merchandise. Medical services will be available on the course, and at the overnight site. There is no charge for medical services on the course or at the site. If you require transport to or from a local medical facility, you will be financially responsible for transport and medical services there. Cycle Oregon will provide dinner at the overnight site on Friday and Saturday, and breakfast at the overnight site on Saturday and Sunday. Lunch will be served Saturday and Sunday on the course, or in camp for short-route riders and Kids’ Camp participants. Lunch on course: 9 a.m.–2 p.m. Lunch in camp: 11 a.m.–2 p.m. The Beer & Wine Garden will feature a variety of ales from Widmer Brothers. The delicious wines of Eola Hills Winery will be available by the glass or the bottle. 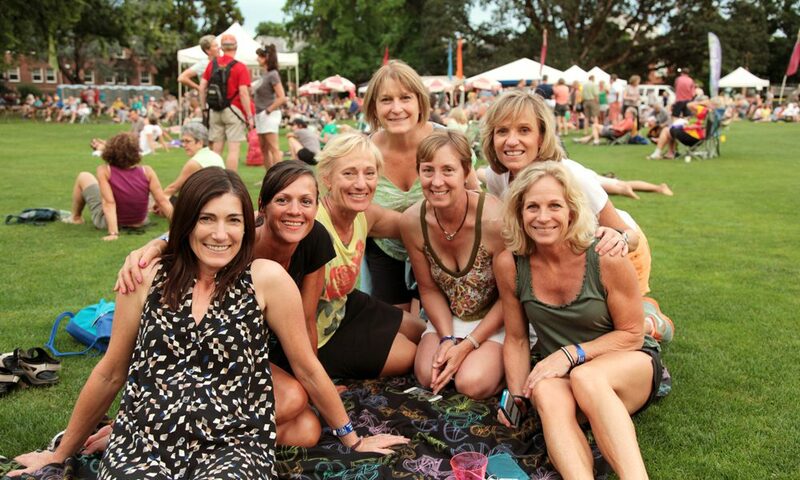 Friday and Saturday evenings at 8 p.m., the Cycle Oregon community will gather around the Main Stage. This is a great opportunity to hear tips about the next day’s route, learn exciting information about the places we’re visiting and catch up on some local folklore. Best of all, it’s always followed by legendary Cycle Oregon entertainment. 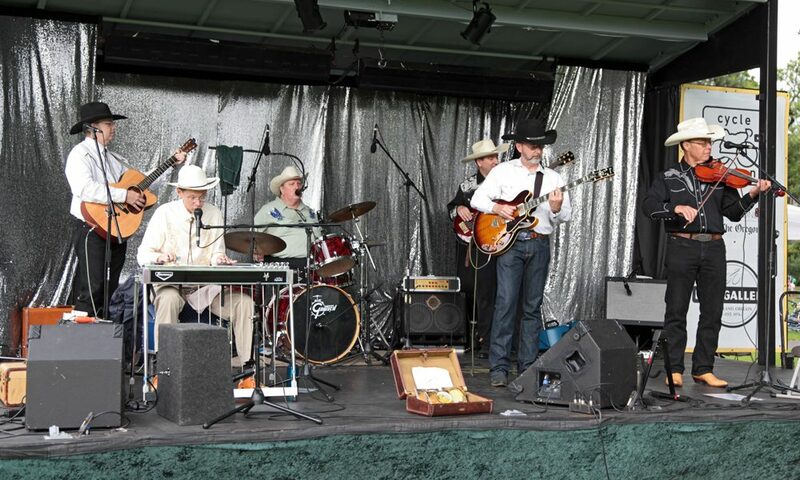 Cycle Oregon showcases some of Oregon’s most talented performers, from country rockers to clog dancers, blues divas to jazz greats. 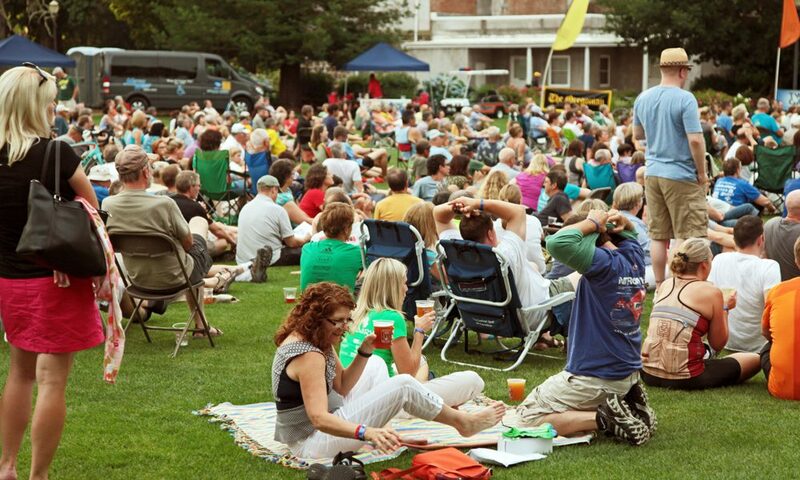 Performances are scheduled for Friday and Saturday afternoons and evenings on the Main Stage. 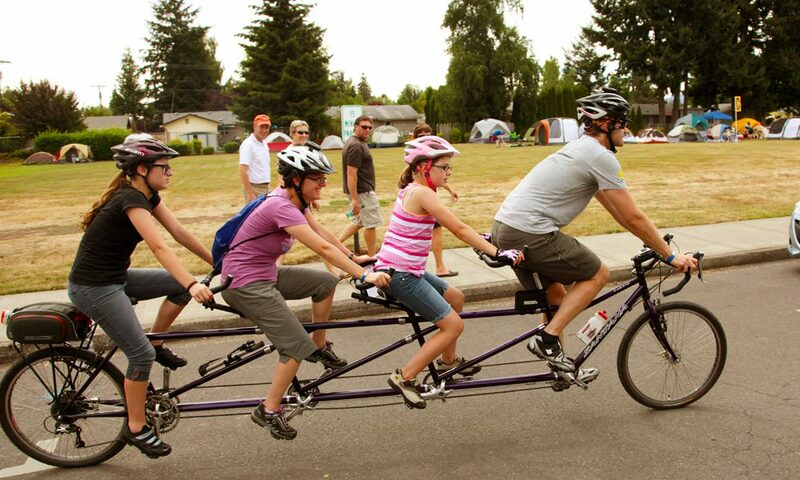 The Community Cycling Center will again be partnering with Cycle Oregon to offer the Bike Camp for Kids. Campers will explore shortened Weekend Ride routes, make new friends, and improve skills with the support of trained bicycle safety instructors. The Bike Camp is a fun opportunity to enjoy the route and connect with other kids of the similar age. All activities and rides will be geared to the unique needs of each age group. To ensure safety and maximize fun, there will be a low student-to-instructor ratio and every group will have three adults out with it. Instructors emphasize cooperation and teamwork. The routes and rides are adjusted to suit the skill level of each group. Drop off and before camp care: 7:30-9 a.m.
Bike Camp: 9 a.m.-3:30 p.m. 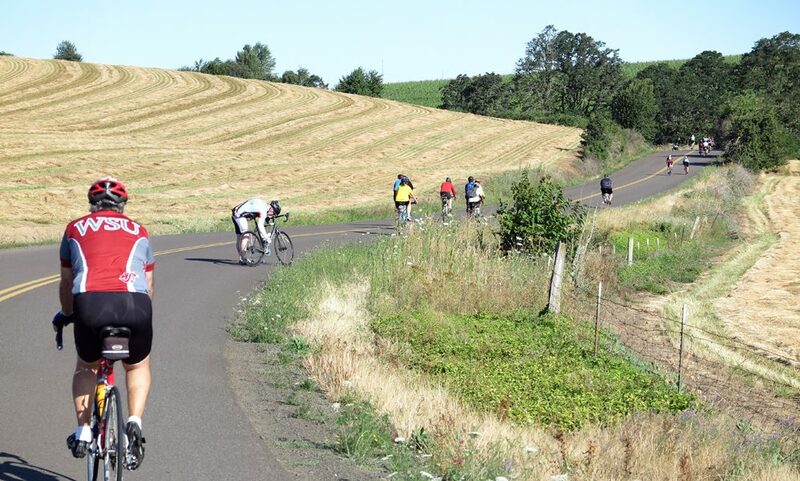 Cycle Oregon prides itself on providing a fully supported ride. Our goal is to help you finish each day’s ride. To that end, our course is complete with the following services and amenities. Course support services are available only during the course hours. If you start before the course opens or are still riding after the course closes, there will be no support services available. 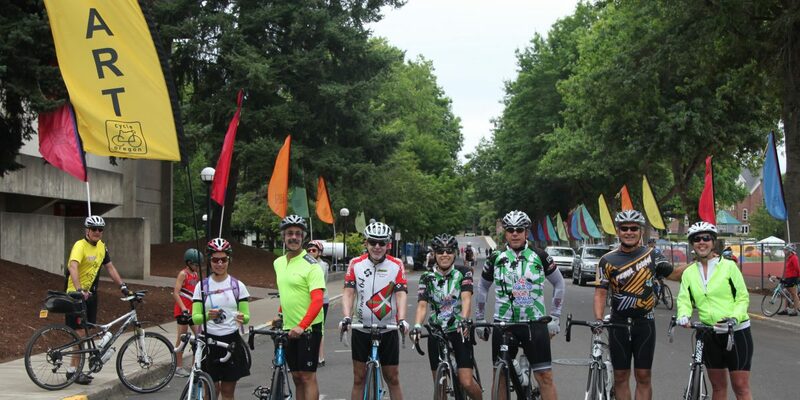 All Cycle Oregon riders still on the course after 6 p.m. (4 p.m. on Sunday) will be offered a ride to camp. If you choose not to take the ride you will be on your own to get back to camp. Lunch is provided on the course each day (except for short routes). Lunch sites will be complete with food, beverages, restrooms, water, bike mechanics, gear drop and a medical attendant. Lunch is open from 9 a.m. to 2 p.m.
At least one, usually two, rest stops will be available along the route each day to provide water, beverages and nutritious, delicious snacks. Rest Stop signs alert riders when one is ahead. You can also see the location of each Rest Stop on the maps that will be inside the rider packet you receive when you check-in. Rest Stops are generally open from 7 a.m. to 4 p.m. In addition to the Rest Stops, one or two water stops per day will provide water and restrooms. Each day at the first rest stop or at lunch, you can drop off a limited amount of clothing to be taken back to the evening’s campsite. This service is for small items such as jackets, tights, leggings, gloves, etc. No half-eaten bananas, half-stuffed panniers or other oddities will be transported. Gear drop can be picked up near Rider Services, generally between 4 and 5 p.m. There will be multiple SAG vans on the course each day. They are available to transport cyclists in cases of mechanical problems or medical injuries. They also have extra water, snacks, and sunscreen if needed. If at any time you need assistance, please signal a SAG van with a “thumbs down” signal. If you do get into a SAG van, you may not be transported directly to camp. The SAG vans usually wait until they are full to go to camp. The Bike Gallery will provide mechanics on the course, at rest stops and at lunch. They will make basic repairs in order to get you to an overnight campsite. All mechanical services are provided compliments of The Bike Gallery. Cyclists will incur any charges associated with parts or extensive repairs. MetroWest provides three Advance Life Support ambulances that give around-the-clock medical support on the course and in camp. If you require medical attention on the course, you should notify a SAG van, ambulance or staff vehicle with the “thumbs down” signal. Motorcycle Patrol Officers accompany Cycle Oregon each day. They provide a moving network of safety patrol and communications between the tour and the communities through which we ride. These officers have full authority to enforce the motor vehicle code of Oregon – which, of course, includes bikes. Motorcycle safety patrol volunteers drive the Cycle Oregon course each day. They are a great source of information and assistance and enhance the overall safety of the ride by interacting with riders who may pose a hazard by unlawful or unsafe riding. Friday, July 7, 3-9 p.m. and Saturday morning, July 8, 7-9 a.m.
Packet pick-up will not be available at the office prior to the Weekender. Do not pitch your tent prior to 3 pm on Friday. When you check in, you will be asked to sign a waiver and then you will receive your packet, which includes a wristband, course maps and T-shirt. Bring a photo ID. You must show your photo ID to pick up your packet. Once we affix your wristband, it should not be removed unless you leave the ride. The wristband is what identifies you as a participant and gives you access to meals and course support.